For the most part, Jewish society and Arab society exist alongside one another without any real encounter as equals. The inequality between Jews and Arabs is manifest not just in terms of how material resources are allocated by the government, but also in the asymmetry in majority-minority relations: The minority knows the language, culture, heritage and traditions of the majority, but the Jewish majority knows almost nothing of the Arab minority. 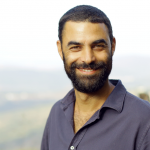 To address this challenge, Sikkuy has been working for the last ten years to develop tourism infrastructure in Arab towns throughout Israel, along with shared regional tourism programming that connects neighboring Jewish and Arab towns. Tourism has the potential to be a positive drive for change in relations between Arabs and Jews in Israel – allowing in-depth, meaningful, unmediated encounter, reducing mutual fear and alienation, and forging a new space of mutual recognition and equality. The tourism we believe in is one that builds on the inclusion of fascinating people, on cooperative endeavor, tourism that gives hosts and visitors heart-to-heart contact and breaks through barriers, tourism that introduces people to unfamiliar histories and cultures, to novel local traditions and cuisines. Tourism that comes from the heart and enters into the heart. Nearly ten years ago, we at Sikkuy connected with Jewish and Arab tourism professionals in four regions around the country, seeking to catalyze joint tourism development for Arab towns in cooperation with Jewish towns. We partnered with Green Tapestry in Wadi Ara, Way to the Sea in the southern Triangle area, and tour operators in Nazareth, Shefa-‘Amr (Shfar’am), Sakhnin and Deir Hanna. Together, we worked to develop tourism infrastructure in Arab localities and shared regions, develop programing and plan tourist experiences for groups and individuals interested in visiting Arab communities and getting to know Arab society. Today these efforts have yielded eight Arab towns across the country as destinations where tours are conducted for the general public and for groups from Israel and abroad. The tours are led by local guides; visitors meet with religious leaders, public figures, and local entrepreneurs, visiting along the way the historical and cultural assets in the communities. “Shared Paths” is the joint platform of the shared regional tourism project. Producing and marketing tours and special events including the wildly successful “Ramadan Nights,” Christmas tours, and programs featuring a special focus that incorporates cultural, historical, culinary or other themes. For Jewish Israelis yearning to get to know their neighbors, activities surrounding this month’s fasting and feasting are becoming a thriving business. Perhaps efforts by Shared Tourism, can serve as a model for the shared society we must continue to strive toward. Randa joined Sikkuy in May 2016. 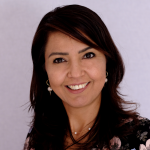 She holds a BA in business administration and communication from the Hebrew University and has completed courses in Arab women’s leadership and mediation. She was the project director for “Arab society – Saharia” at the NGO Shacharit and coordinator of the “Ya Salam” Arabic studies program at the Abraham Fund Initiatives. Randa was an advisor to the minister of science, the parliamentary assistant to two members of Knesset and she is a certified teacher. She is married with two children, Mayar and Majd, and lives in Arabe. Uri Kandel joined Sikkuy in August 2018 as the new CEO of "Shared Paths", the tourism enterprise that was established as part of Sikkuy’s Shared Regional Tourism project. Uri joins Sikkuy with diverse experience including establishing a social enterprise (an ecological farm in Beit Zayit) and working as a senior consultant to the CEO of Bituach Leumi where he was responsible for promoting the "universal children’s savings " program and for the establishment of social bonds for the prevention of diabetes. Uri was also a mathematics teacher, director of the Center for Youth at Risk and also led the policy team of the teachers' movement that was established during the social protest in the summer of 2011. Uri holds a BA in Humanities from Tel Aviv University and an MA in Public Administration and Policy from the Hebrew University. He lives in the Galilee with his wife and two younger sons. In addition to working at Sikkuy, Uri is currently involved in the establishment of the first "Forest Education" school in Israel.